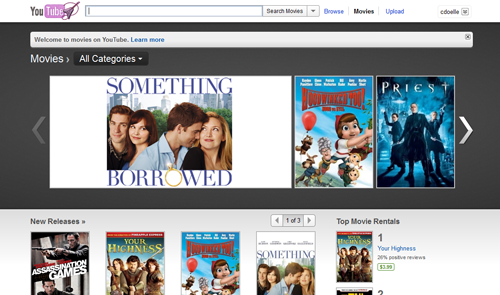 Not sure what I think about this yet… YouTube Movies? Imagine my surprise! I went to YouTube to check on my latest video upload and found YouTube Movies. I still know relatively little about it, but it is worth investigating. I will check back with what I like and dislike. What are your thoughts?